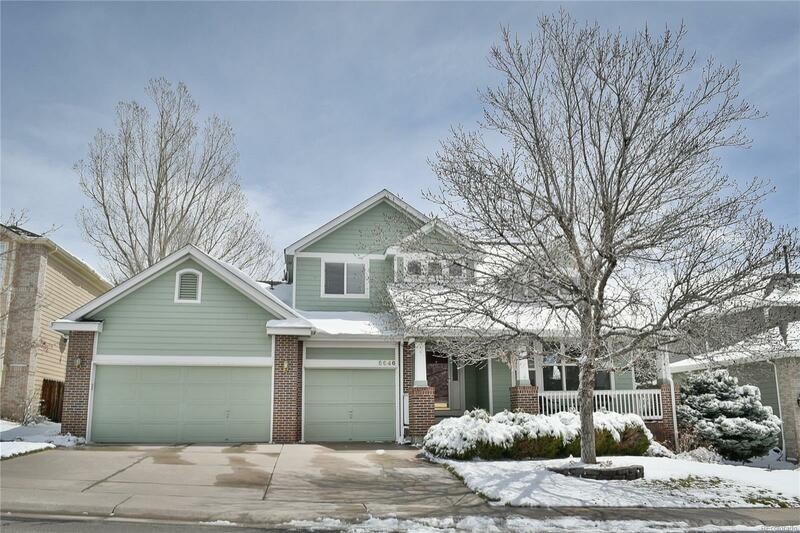 Main Floor Master Suite in Cherry Creek School District! Clean, fresh and bright, this beautifully maintained home features a main floor master suite with a gleaming 5 piece master bath and a 9'x15' master closet. Enjoy coffee on the rear deck in the mornings, sit on the covered front porch in the evenings. Quiet cul de sac location. Finished basement with a rec room with wet bar/kitchenette, 3/4 bath and conforming bedroom. Sparking clean 3 car garage. Stow the extra stuff in the shed in the back. Kitchen has granite countertops and stainless steel appliances. Beams, crown moulding and custom wood work throughout the home. New roof, room for everyone. Close to shopping, schools, and The Trails Rec Center. Don't Miss Out on This One!